An alpaca is a member of the camelid family and Genus Vicugna. Alpacas are domesticated (5-6,000 years) from the wild Vicuna. Alpacas are frequently mistaken for llamas (Genus Lama) which are also part of the camelid family. Vicuña, Guanaco, Llamas and Alpacas originate in South America and are generally referred to as “New World Camelids” which is sometimes confusing considering that alpacas have been domesticated for over 5,000 years. Alpacas are less than half the size of a llama. Adult alpacas generally weigh from 135lbs to 190lbs. With females generally weighing less and males weighing more. There are two breeds of alpacas that grown a different type of fiber (wool). Huacaya, pronounced “wah-ki-ya”. They are the more commonly recognized alpaca. They are generally referred to as being fluffy, with some fleece characteristics that could be compared to wool or cashmere. Suri, pronounced “Sir-ee”, is the second type of alpaca. Making up of less than 10-15% of the world alpaca population. Suri alpacas have a silky type of fleece that hangs from their body in a dreadloclk type look..
Alpacas get a lot of attention for many different reasons. Usually it starts out because there was something about the animal that caught their attention. “They have such big eyes and they’re so fluffy” … “I just want to hug them“ we hear a lot. Comments about “they’re so soft” usually come up as well. Alpaca breeders love the attention…the alpacas themselves, not so much. Alpacas prefer peace and quite. Being at the center of attention generally concerns them. They do best in quite, gentle and consistent interactions. They are food motivated and love treats. Consequently, they are pretty easy to train. Be careful not to “over train” them to be too friendly and that proper boundaries are established when they interact with people and children. So, if you are going breed and have crias (babies), understanding the training process would be something to understand. We get a lot of activity at our ranch and consequently have trained our alpacas not to be afraid of visitors. 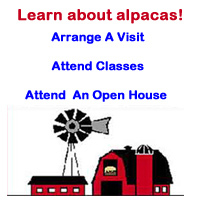 We also help our visitors learn not to be fearful of the alpacas. It’s always a gratifying to watch visitors and the alpacas connect. Alpacas have numerous qualities that enable them to fulfill many purposes. According to the Agricultural Organization of the United Nation, Camelids, (alpacas included), have been singled out to promote as worldwide livestock. I know of many families that traded city sidewalks for irrigation ditches. Alpacas are gentle and an easy animal to raise. If you are possibly interested in raising alpacas it would be most helpful to first decide what purpose they will be used for. First, and foremost, alpacas are livestock. That doesn’t preclude raising them as a family project or more like “pets”. Alpacas have the designation of livestock because they produce a product and they can’t be raised in areas that don’t allow livestock. The main product they produce is fiber or wool and occasionally for their meat and hides. Alpaca fiber can rank among the most luxurious natural fiber in the world. High quality natural fibers are first and foremost ranked and valued according to its fineness. Fineness is determined by its diameter and described in Microns. (One micron = one millionth of a meter). 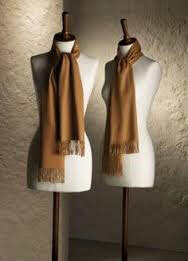 High quality alpaca fibers are generally less than 20 microns. A comparison of how fine that is, it would take about 25 alpaca fiber that are 20 micron in diameter to equal the volume of one human hair that is about 100 micron in diameter. If you are not a mathematician, that comparison may not sound right … do the math (pi*R2) . Wild vicuña, some cashmere goats as well as some merino sheep are also capable of reaching that milestone of fineness. Alpaca, the domesticated offspring of the Vicuña, has a future among a very elite group. What’s helpful to know at this point is that alpacas continue to produce fiber their entire lives which they will likely reach 18 to 20 years. Not all alpacas are created equal. Prior to the Spanish conquests in the 1500’s alpaca fiber was equivalent in quality to the wild vicuña. Vicuña is the rarest and finest natural fiber harvested today and is usually valued about $250 per pound. That is about 4-5 times the market value for quality cashmere. Since the time of the conquests, there had been a steady decline of the quality of alpaca production. That didn’t change until about the mid 1900’s when the wool buyers in Peru started purchasing alpaca fiber and compensating a little extra for higher quality. 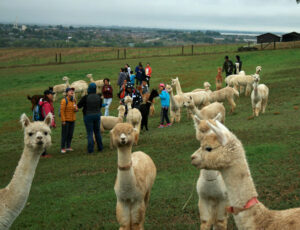 Some south american alpaca owners started to improve their herds. Alpacas are sheared once per year. They will produce about 4-10 lbs of raw fiber. The quality of the fiber they produced is largely determined by genetics. The quality of offspring is usually equivalent to the combined average of the parents. 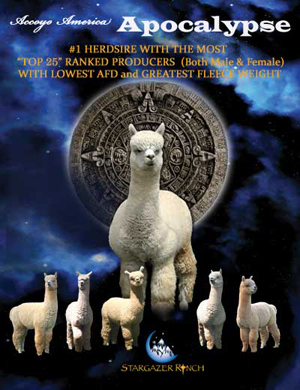 In the short time alpacas have been in North America attentive breeders have achieved significant improvement in quality due to good mating selection. Not all breeders have that focus. Also, It is generally understood that as an alpaca ages, all of its fiber characteristics change. The highest quality and longest fiber initially came from its early shearing and then revert back poor quality after a few years. A few additional generations of proper mating selection and the high quality production became more persistent. Consequently, “seedstock” breeders are concentrating their efforts towards extending elite fiber production longer in the life of an alpaca. 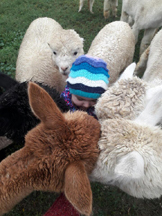 Improving the next generation should be every alpaca breeders goal. The national Alpaca Owners Association (AOA), has an industry database to assist its members in obtaining a genetic profile of their animals. It is the same type of system that other livestock breeds have been using over the past 20 years. The program is called Expected Progeny Differences (EPDs). EPDs provide a genetic profile of an animal in numeric form. It is primarily used by breeders to compare the expected production offspring in different mating scenarios. They are also used by buyers to establish value in making purchasing decisions. White fiber has the most demand as it is frequently dyed to produce fashionable colors. Naturally colored fiber and yarn are always in demand and alpacas come in about 24 different colors and various patterns. Due to the physical structure of an alpaca fiber it will always feel softer than comparable sheep wool or goat fiber. Consequently, even average quality alpaca has an enthusiastic following for handmade and low volume production. Production animal owners and breeders/fiber artists tend to concentrate their efforts in this area. Alpaca fiber that measures above 24-26 micron will start feeling prickly and should probably be blended with a complimentary fiber or best utilized in outer garments. Everybody likes to have bragging rights when they think something they have is special. If an alpaca demonstrates something unique whether it be a fancy color pattern, a crimpy fiber characteristic or the ability to maneuver through obstacles, the alpaca industry has a strong, competitive show system to compete with other like minded alpaca owners. In the show arena, how an animal looks is as important, if not more important than the quality of fiber or the offspring it will produce. Generally only 1-3 year old animals are shown in person. Some shows also judge shorn fiber for breeders as well. Animals that don’t have anything special about their looks can always be trained to compete in performance shows and it is always a gre at family activity. 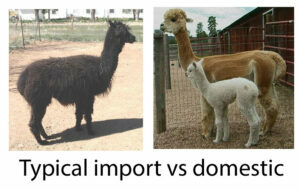 It’s common for new breeders to have a great deal of difficulty trying to determine what a “show quality” alpaca is. 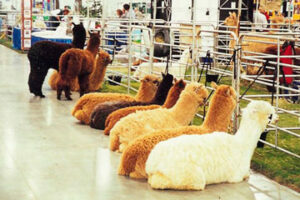 All registered alpacas are qualified to be shown. Many subjective factors are involved in choosing show winners. The only control you have over the quality of the offspring is by proper selection of what you buy for breeding stock and who you breed them to. 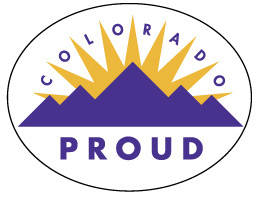 We recommend selecting based upon proven, objective production records. Genetics are forever. Quality fiber brings in revenue. Then when a show winner pops out you’ll have something to brag about. Producing revenue is an important aspect of raising alpacas. Livestock that is raised to produce a profit can provide financial help with extra revenue as well as providing helpful tax considerations. The production ability of an animal will determine the amount of revenue and tax consideration that can be expected. Alpacas used for breeding can be depreciated. Alpacas are fully insurable. The most common revenue streams for all alpaca owners comes from raw fiber, yarn, and garment sales. 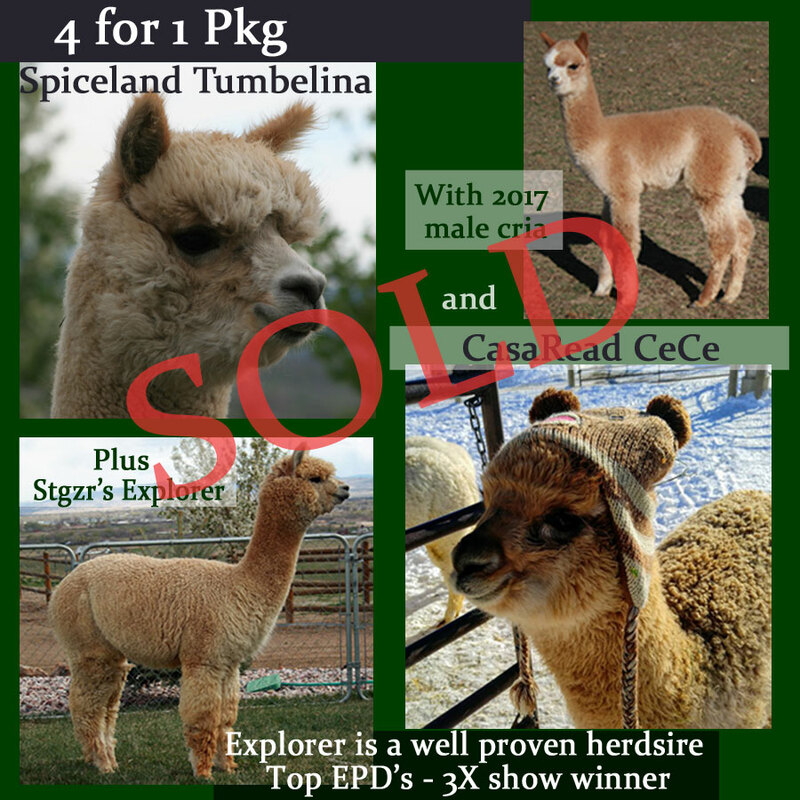 Alpacas with the ability to produce offspring have revenue potential from animal sales as well as breeding/stud services. Other income opportunities pertaining to alpacas whether you own them or not would be boarding and transportation services as well as raw fiber, yarn and garment sales. One of the most important aspects of the North American alpaca industry is in the area of genetics. The alpaca registry requires dna testing and matching to existing registered parents for registration approval. This helps establish buyer confidence in purchasing specific genetic lines and avoid inferior importations flooding the market. Getting started with alpacas is easy. 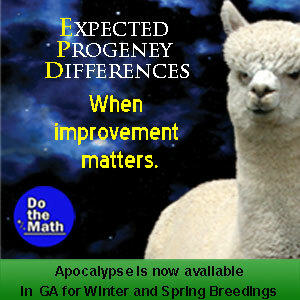 How to pick the right alpacas to buy depends on what purpose they serve or what you intend to do with them. How you answer the following questions will help define how best to proceed. Do you want to produce income? How much? What’s your budget to get started? Are you interested in competitive showing? Do you have livestock or health care experience? Who is going to be caring for the animals? Do you currently or plan to have facilities or will you be boarding? Do plan on breeding and having crias (alpaca babies)? 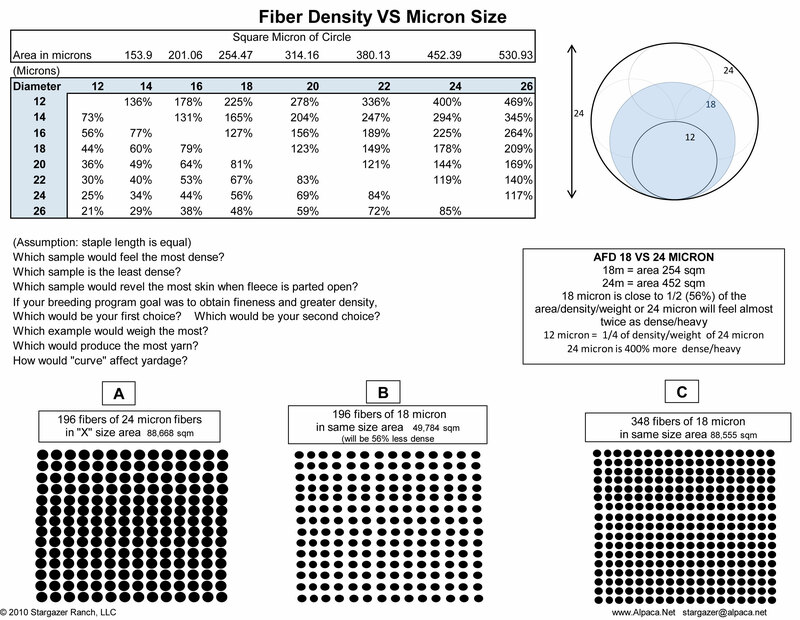 Will you use the fiber to sell yarns or garments?